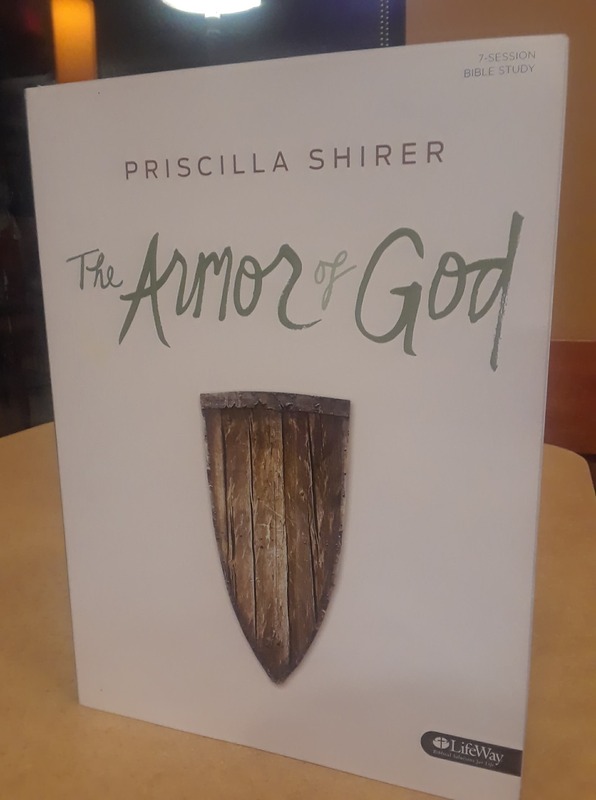 In our ladies’ Sunday school class, we’re studying Priscilla Shirer’s The Armor of God. I want to back up a minute and give a bit of context. For many years of my life, God emphasized talking to me through Scripture. By “talking” I just mean generally teaching/leading me. In 2017 He emphasized teaching/leading me in prayer. And this year He’s been opening my heart to be taught/led through His people. Now, all these factors (prayer, Scripture, God’s people) have always had places in my relationship with God. He just is maybe filling it out more or something, balancing it, or making me focus on them more intensely and individually for certain periods. So, honest moment, I’m normally somewhat nonplussed by pre-written Bible studies. But due to God’s emphasis in my life right now, I’ve been specifically working to open my heart to this. It’s been an incredibly insightful study, helping me shift my thinking about some major, long-standing issues. She emphasizes prayer. And truth. So I wrote a prayer about fundraising, based on the truth. Dear God, fundraising is a good work You planned for me to do so long ago. It has eternal value and rewards from You. In my weaknesses, You are strong. God, in the acts of fundraising, You are fulfilling my desires–good desires that You’ve placed in me to serve people and Your church, to make others fruitful for eternity. Fundraising is a path of righteousness in my life, it is part of my life’s cup overflowing. Lord, especially in fundraising, I lack nothing because You are my shepherd. May I live ever deeper in the life of Christ, gloriously fulfilling the specific part of Your magnificent plan which You’ve entrusted to and ordained for me to fulfill. And may I know Jesus through this, experientially know Him, His suffering and resurrection power, that others may also know and be emboldened to believe and obey who You truly are.